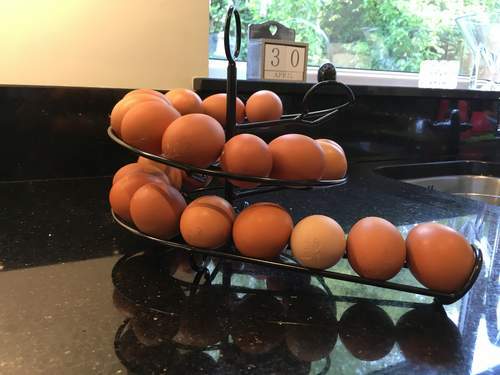 As seen on 'River Cottage' and 'Kirstie's Homemade Home'. 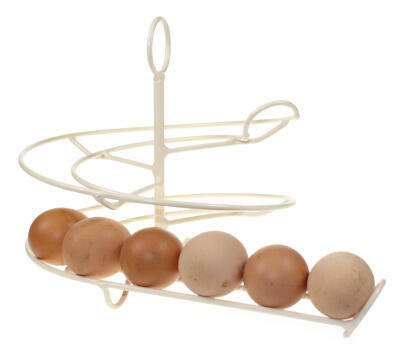 This egg skelter is a brilliant way of storing and displaying your fresh eggs in date order. 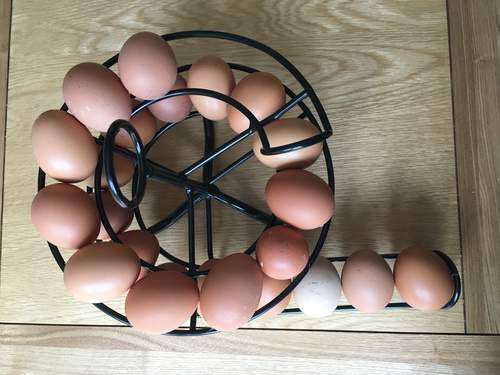 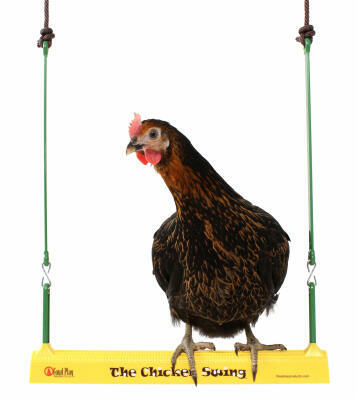 Every time your hens lay a lovely egg simply add it to the skelter, and when it comes to eating them you will know to use the one at the front, which will always be the oldest. 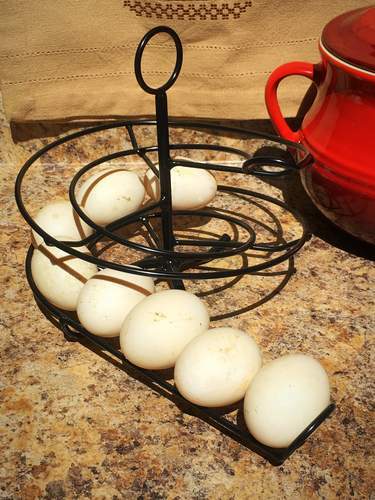 Your eggs will be proudly on display and you will never have to waste one again! 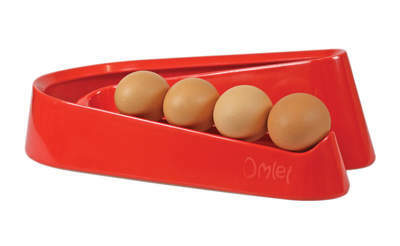 Suitable for 20 medium to large sized eggs. 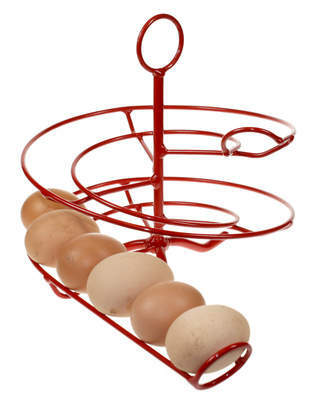 Please note: Eggs are different shapes and sizes and we cannot guarantee that they will roll down the egg skelter.